The Evelyn offers a combination of style, comfort and livability. 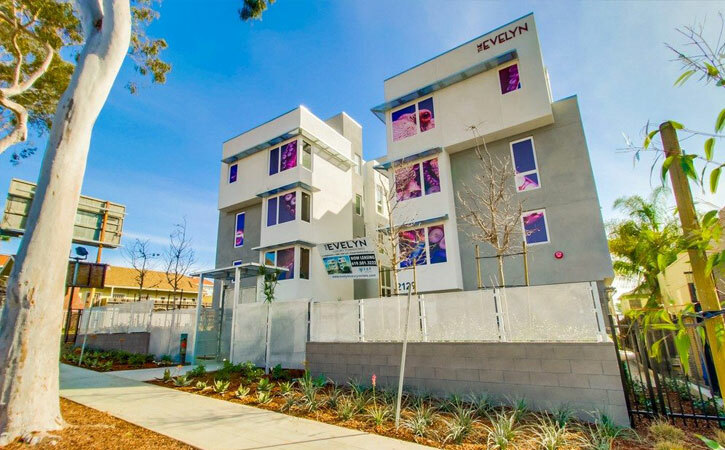 The newest luxury apartment complex in University Heights is 3 stories, 23,139 s.f., and consists of 12 units; four one-bedroom units and eight three-bedroom townhouses with oversize direct-access garages. The twelve units proposed on the 0.24-acre site create a density of 48 dwelling units per acre. 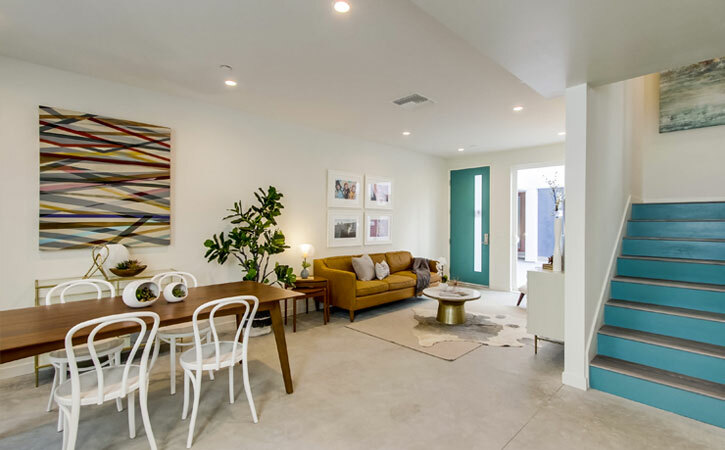 The boutique style complex was designed with the San Diego homeowner in mind. The Evelyn offers unique custom interiors unlike most apartment complexes that have cookie-cutter layouts and finishes. 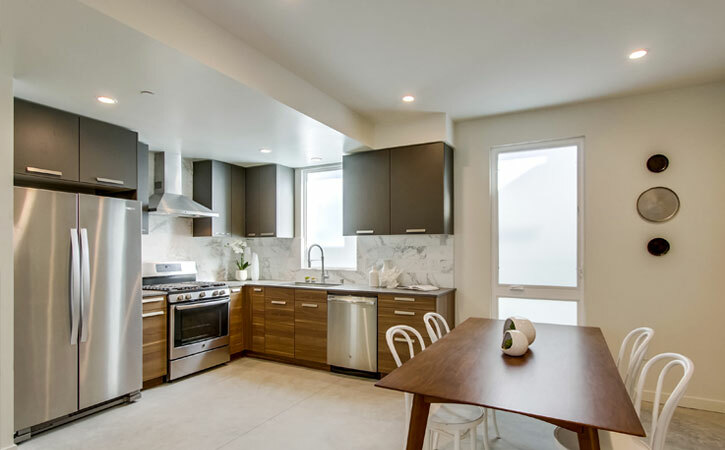 Designed with attention to detail each apartment has their own top of the line finishes: stone countertops, custom cabinets and marble backsplash. 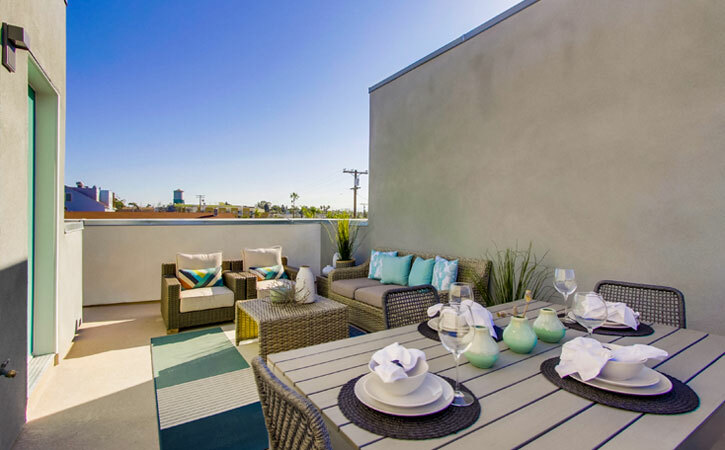 The floor plans are spacious, perfect for entertaining and each with sprawling private rooftop decks and skyline views, no two are alike.